Azzaro, Palma(Puzzo), 86 of Wayne passed way on March 19, 2018. Beloved sister of Gaetano Puzzo of Wayne. 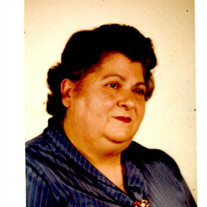 The family of Palma Puzzo Azzaro created this Life Tributes page to make it easy to share your memories. Send flowers to the Azzaro's family.